This is the oversized outdoor lighted atomic clock that maintains its unerring accuracy from the radio clock transmitter in Fort Collins. In addition to subtly glowing hour and minute hands, four LEDs illuminate the face when its light sensor indicates dark conditions. 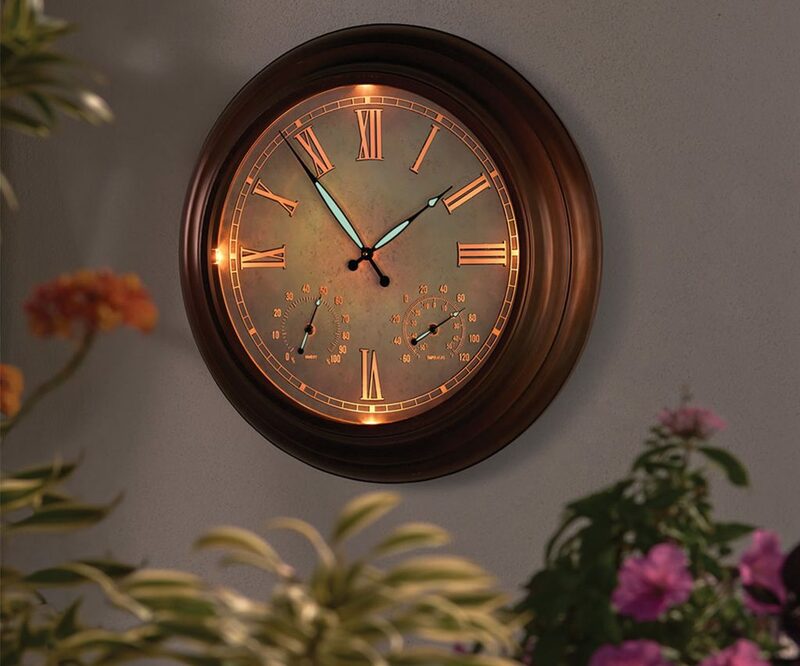 The atomic clock provides accurate time across the entire lower 48 United States.